Pt Charlotte irrigation installation provides the proper amounts of water your plants need depending on the time of the year. 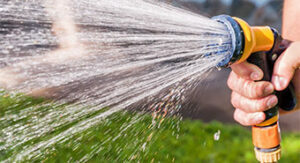 Relying on your water hose is an ineffective and time-consuming way to water your plants. Imagine no more wasting your time and energy lugging a hose around your yard. Properly installed irrigation placed strategically around the perimeter of your property delivers water effectively, efficiently and helps keep your lawn and landscape healthy and green. Our irrigation installation professionals are trained, certified, experienced, and provide reliable solutions to potential problems that may occur when installing an irrigation system. Our Pt Charlotte irrigation installation professionals start with a free on-site consultation. We estimate how many zones and sprinkler heads you will need to achieve a healthy lawn. 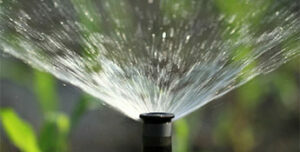 Once installed we will tweak your irrigation schedule to ensure that your property receives the right amounts of water. Our help doesn’t have to stop when we leave your property. CoastalCare is a worry-free annual maintenance plan designed to keep your irrigation system working efficiently. Pt Charlotte irrigation installation is a project that if done by our professionals can result in a beautiful and healthy lawn for years to come. Our fully licensed, bonded, and insured irrigation design professionals and technicians have serviced both homeowners & business owners throughout the Pt Charlotte area since 2001. We specialize in a variety of solutions to meet the demands of Florida’s outdoor environment. For help with your Pt Charlotte Irrigation Installation, please complete our online request form or for the fastest response call (941) 473-8772 today!